We are offering a wide range of Pen Drives. The pen drives we offer are appreciated among the clients for their attractive design, heat resistance and elegant finish. 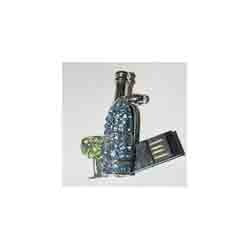 With the assistance of our vendors, we are engaged in the supplying and retailing of premium quality Metal Pen Drives. Manufactured from corrosion resistant metals, our professionals obtain these pen drives from trustworthy vendors. The pen drives we offer are appreciated among the clients for their attractive design, heat resistance and elegant finish. Moreover, these pen drives are availed at competitive market prices. Looking for Metal Pen Drives ?